Are you ready to join the dark side and celebrate the latest episode of the brilliant Star Wars Saga with this fantastic Deluxe Kylo Ren Costume? This deluxe costume comes complete with Robe, Hooded Cape, Belt, and Mask. The Deluxe Kylo Ren Costume comes with a full length black Robe with full length sleeves with thumb holes, and is complimented by the black Hooded Cape to complete this dark and mysterious look. This Deluxe Kylo Ren Costume is completed by the belt and the plastic Silver and Black Mask with mesh insert, which features an elastic strap around the back for security. The First Order beckons as you as the Force Awakens with this Deluxe Kylo Ren Costume. Available in sizes Standard and Extra Large. 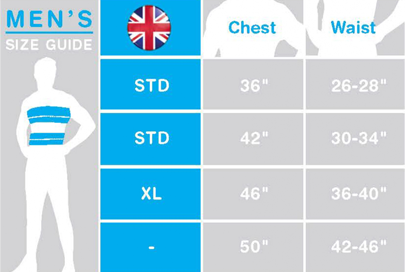 Size guidelines: to fit a 38-42” and a 42-46” Chest. A Deluxe Kylo Ren Costume including Robe, Hooded Cape, Belt, and Mask.